This is the same shower in a more informal quirky setting. 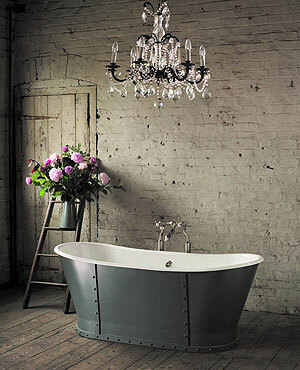 I would love a chandelier in my bathroom but my ceilings are not high enough. Sigh. And this bathtub is country and elegant. I am pretty sure I will have French lime washed oak in my bathroom. Why not? 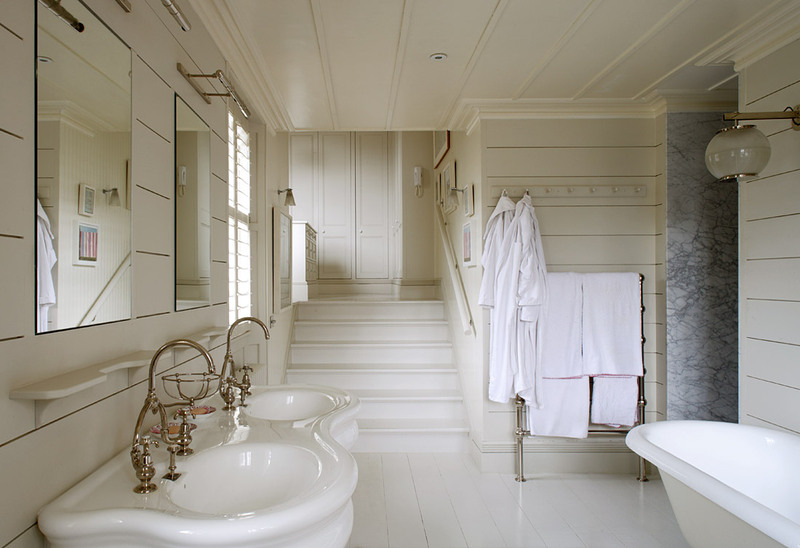 And you can't really beat classic white, or a free standing towel heater. And this is a girl's bathroom. The frameless shower has definitely given me some ideas. 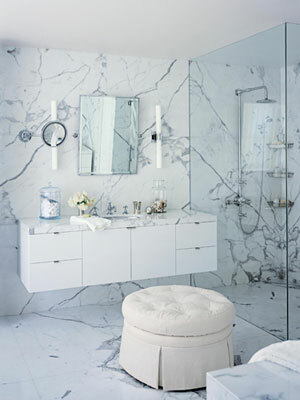 I am not so sure about the vanity though, I am hanging out for a white pedestal basin, to keep my look classic. I will post my (slow) progress. Really like those freestanding showers gives me food for thought for the future. I also am doing my bathroom I have a bathtub sitting in my backyard already. The decisions are driving me crazy, good luck with your bathroom and I look forward to seeing pictures of your progress. I thought I knew what I wanted, but the more I look, the more indecisive I become. In one way I am lucky, the house came with a claw foot bath! 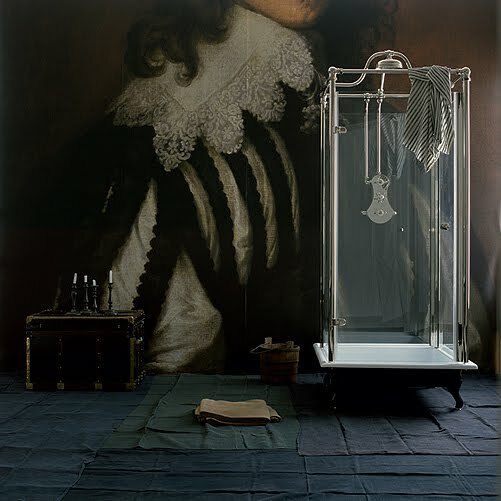 Hi Tammy, i was wondering where you got these images from as i love the free standing shower.